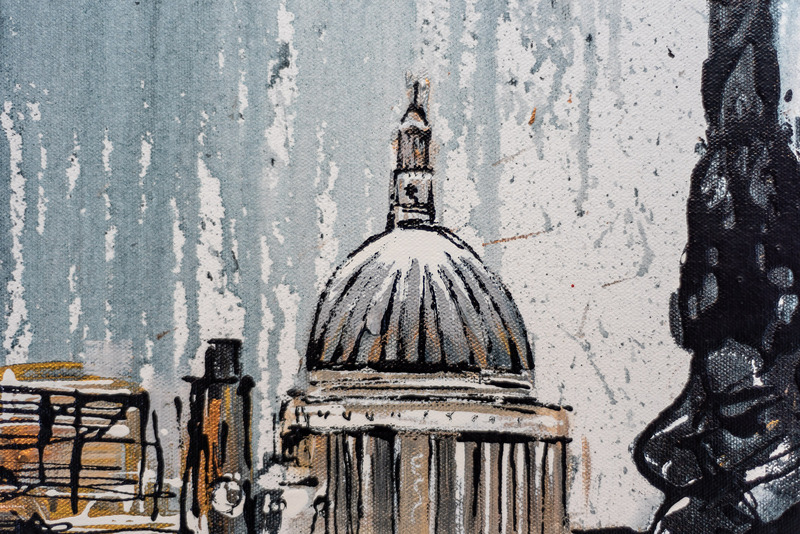 The view across the River Thames towards St Paul’s Cathedral and the city beyond. 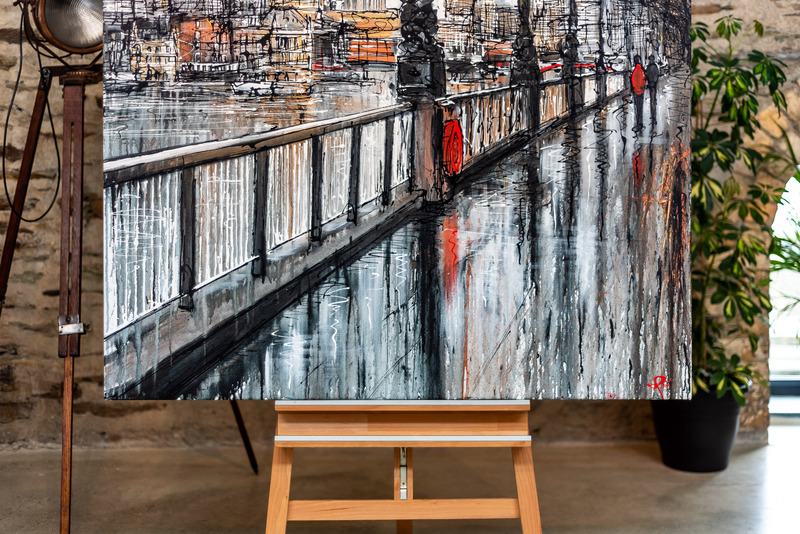 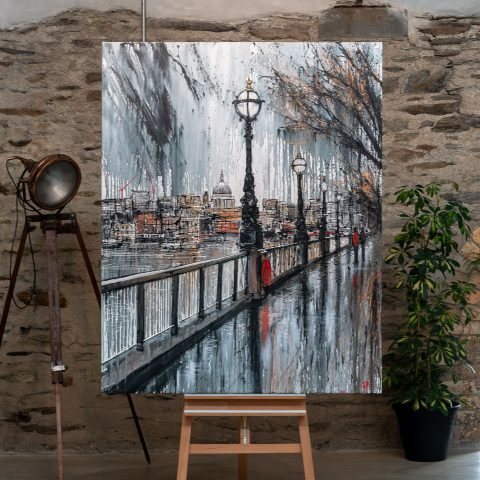 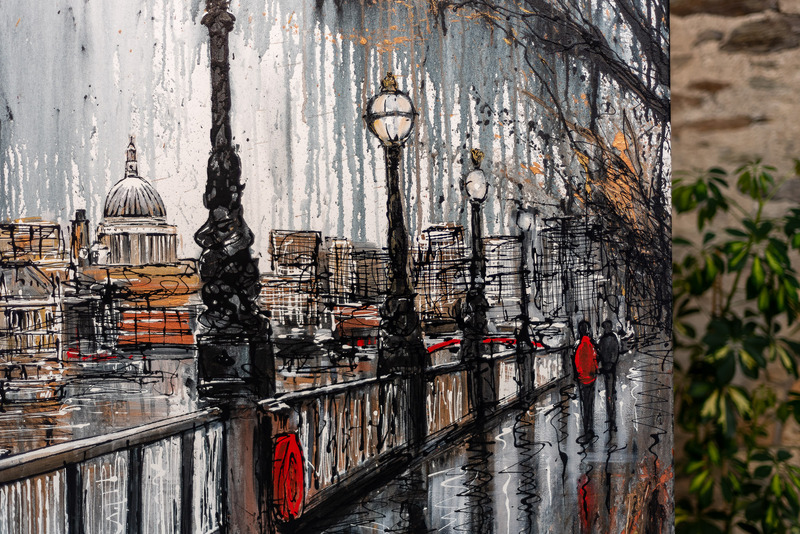 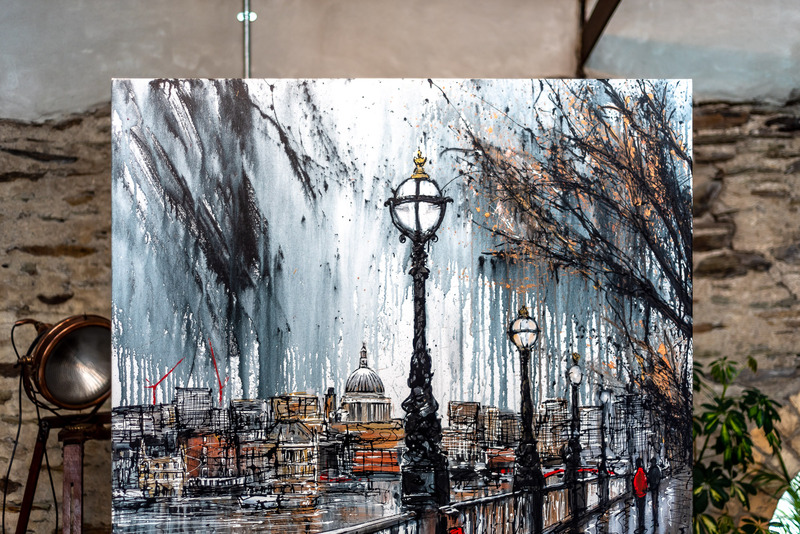 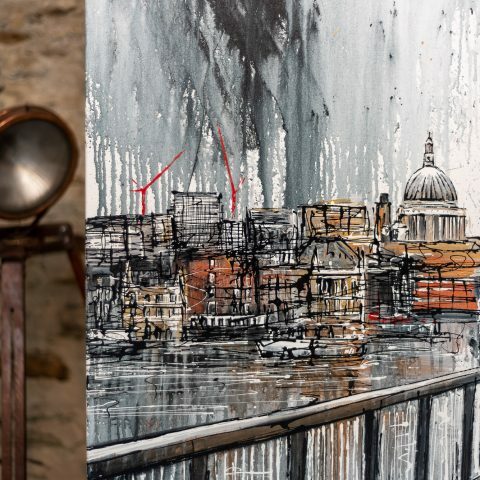 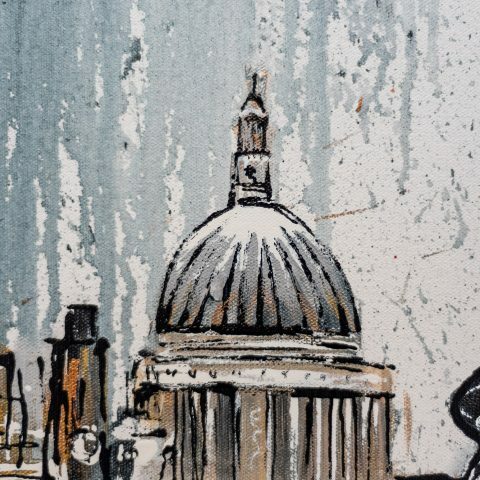 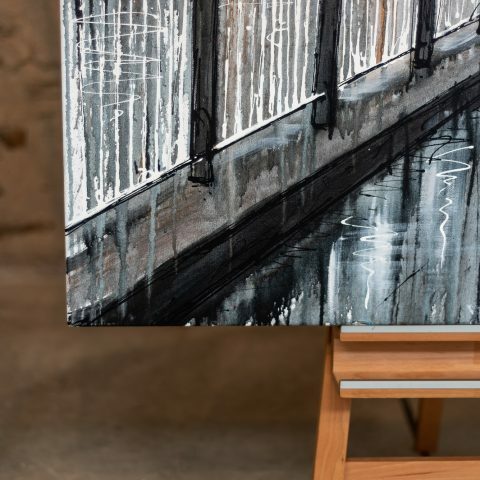 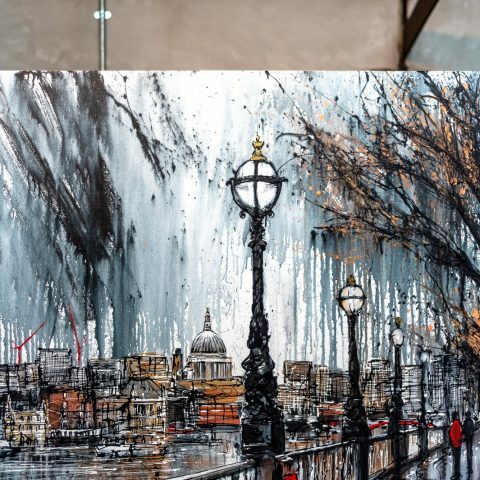 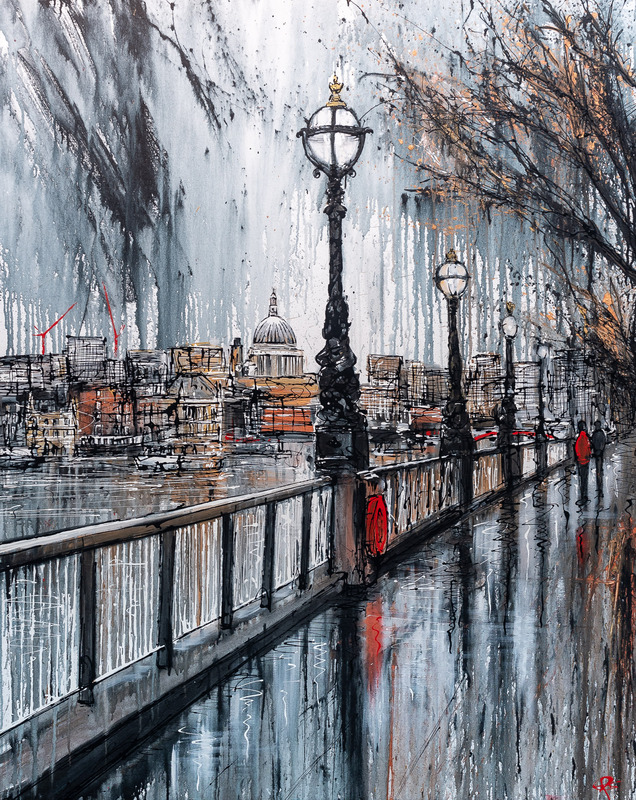 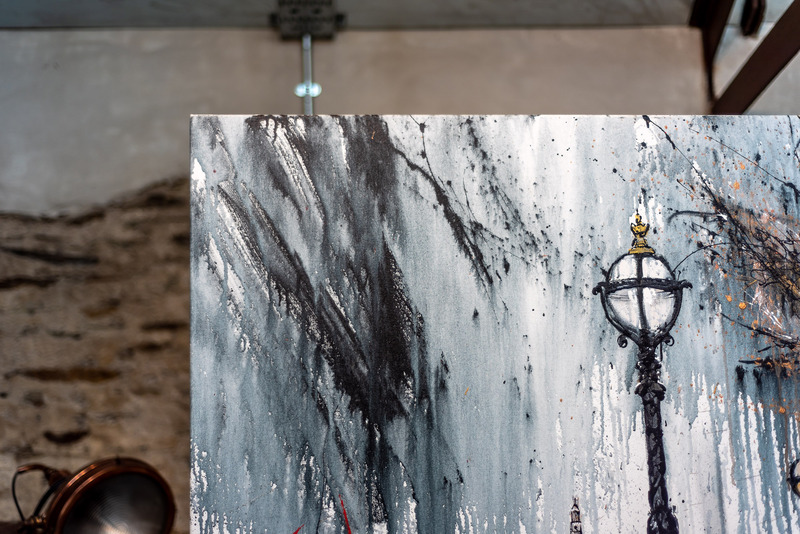 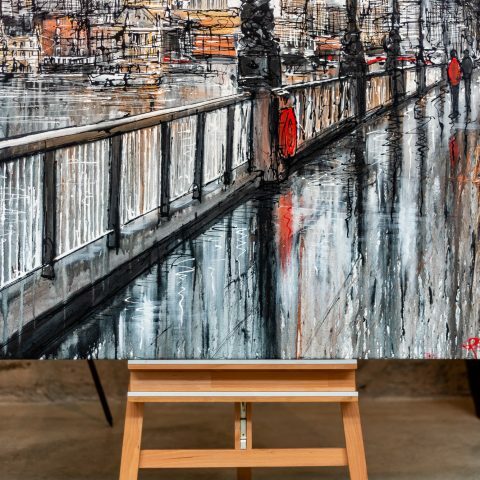 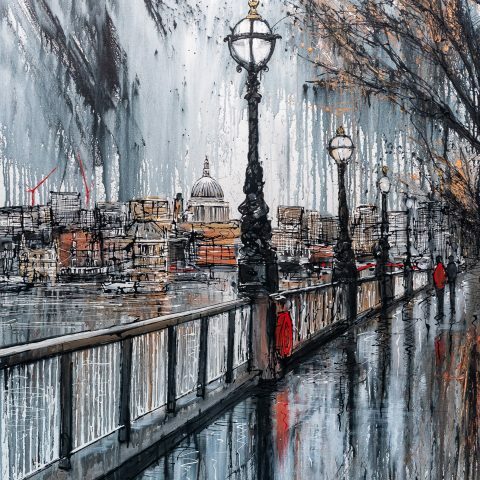 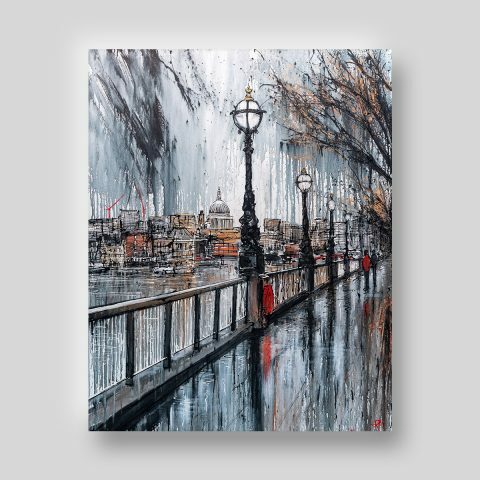 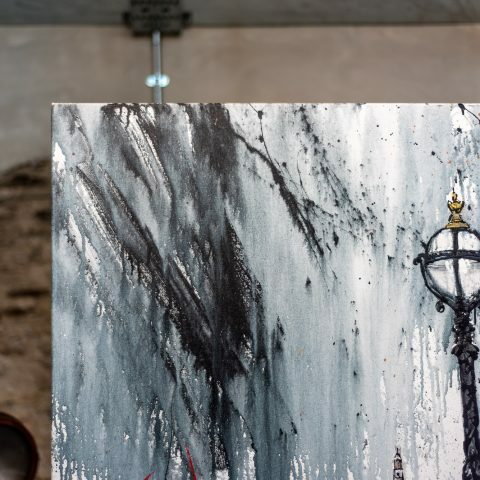 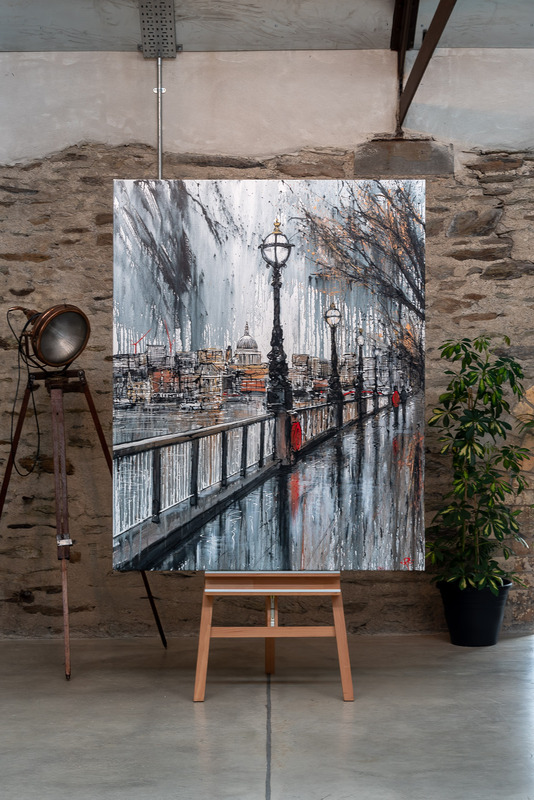 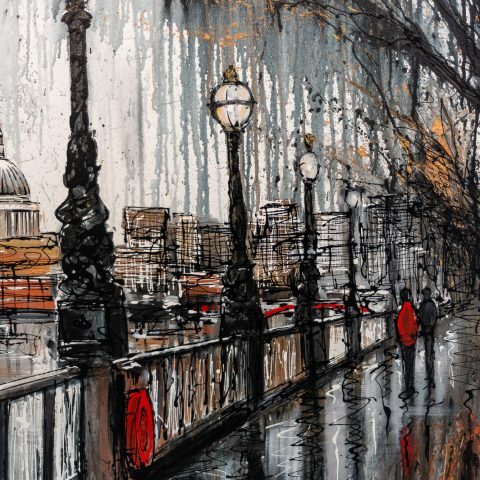 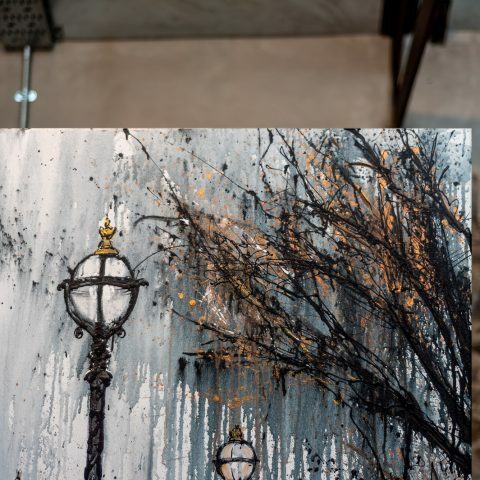 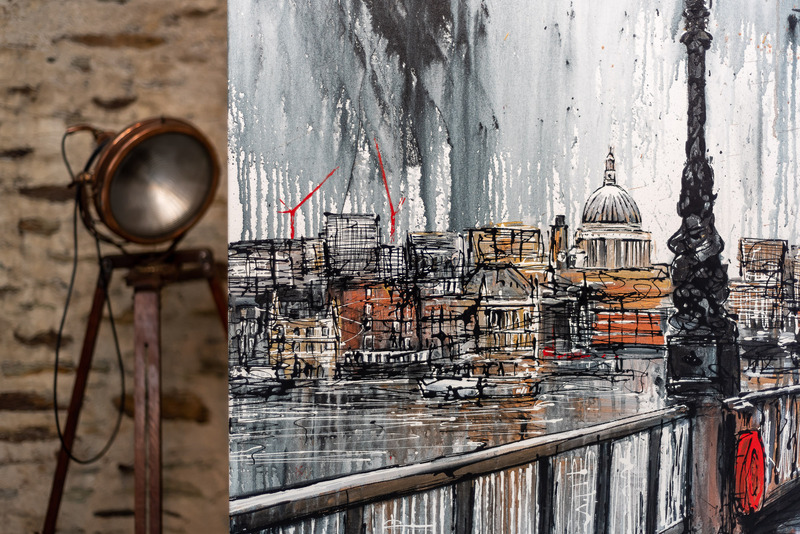 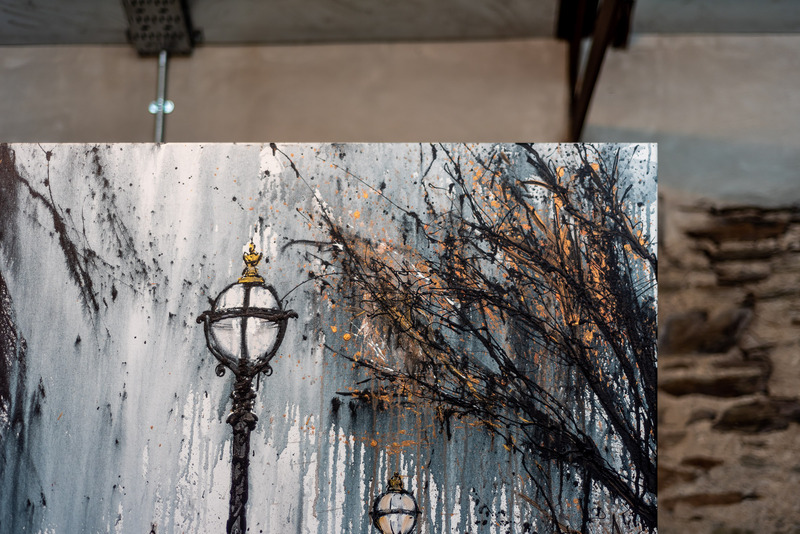 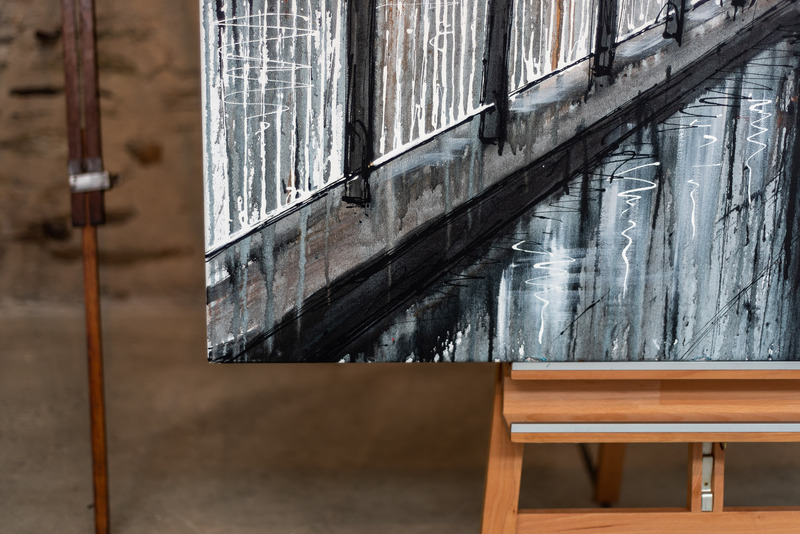 Capturing a wet London scene during rainfall, Paul has dappled the painting with metallique paint which shimmers and catches the light. 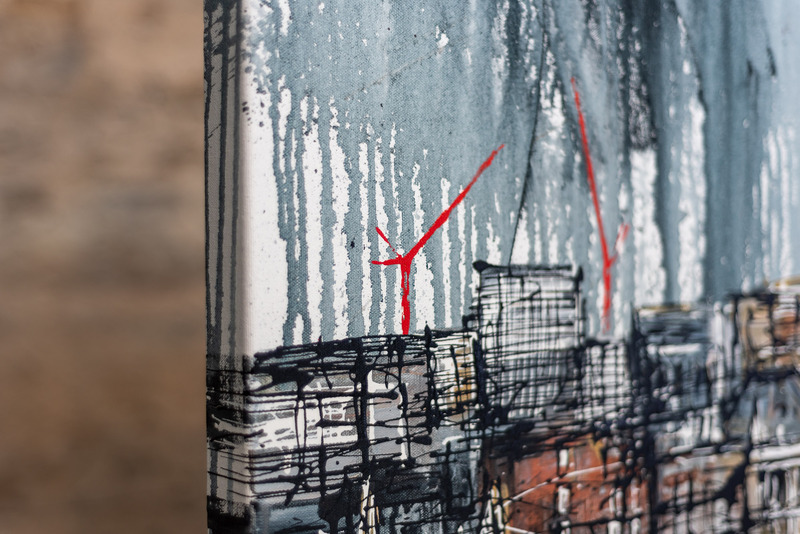 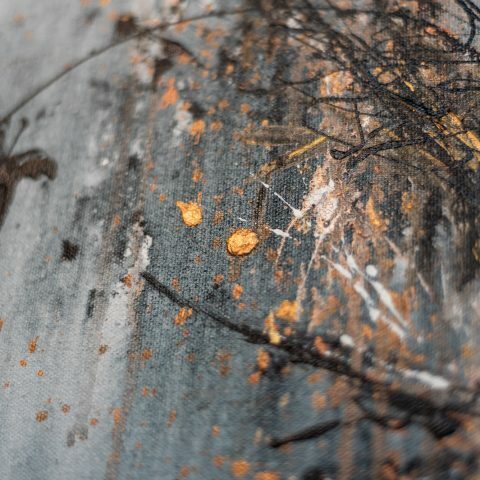 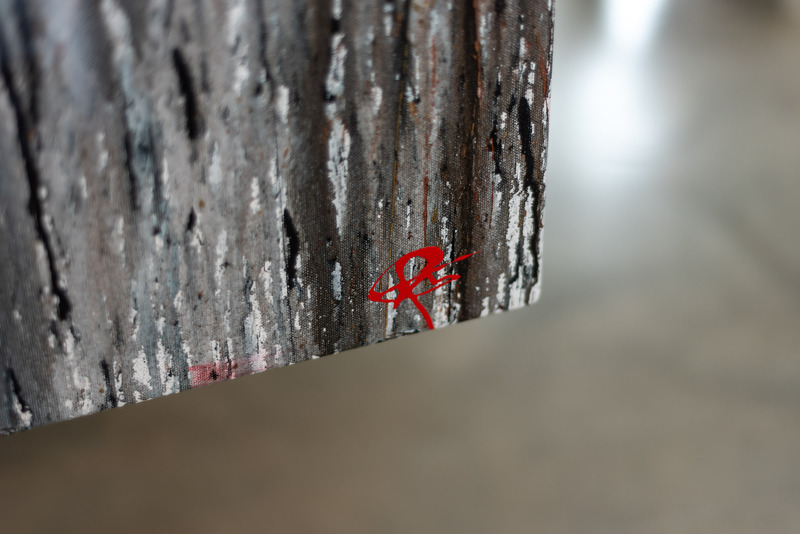 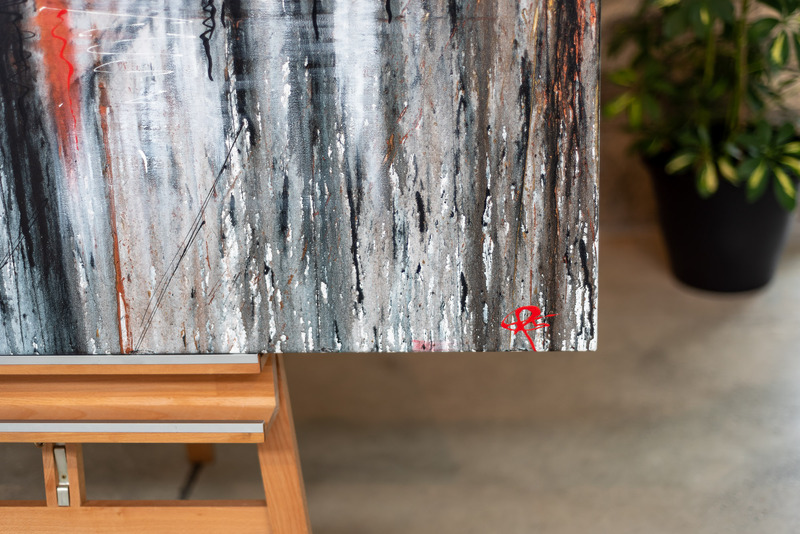 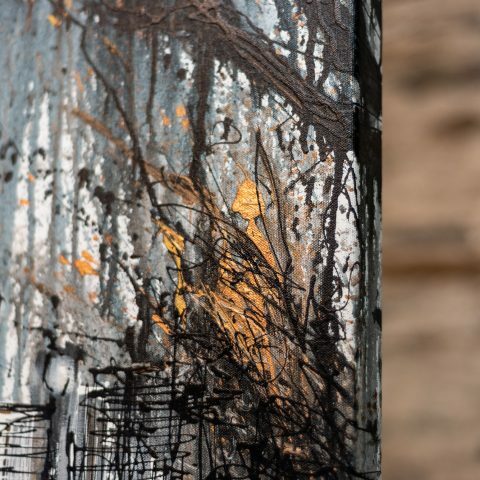 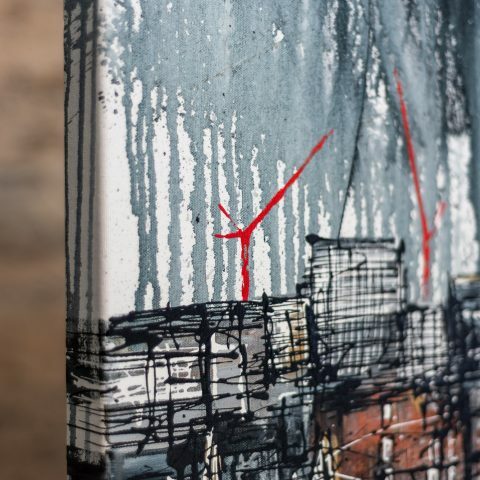 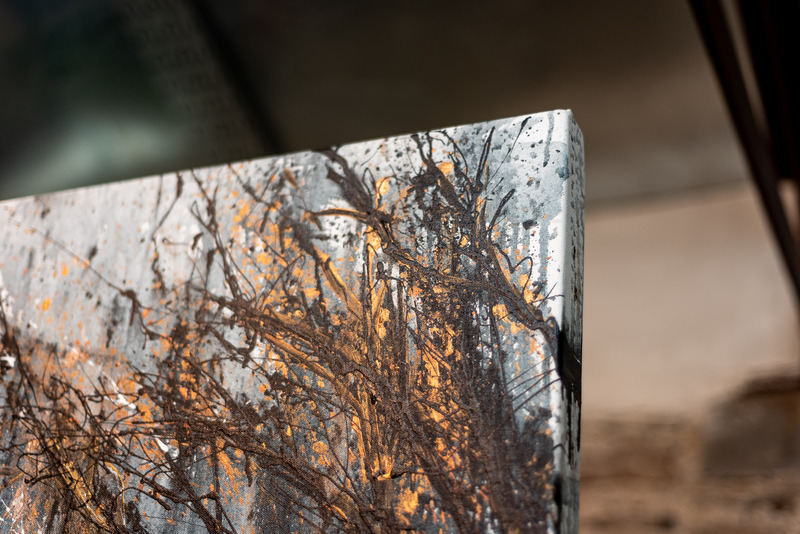 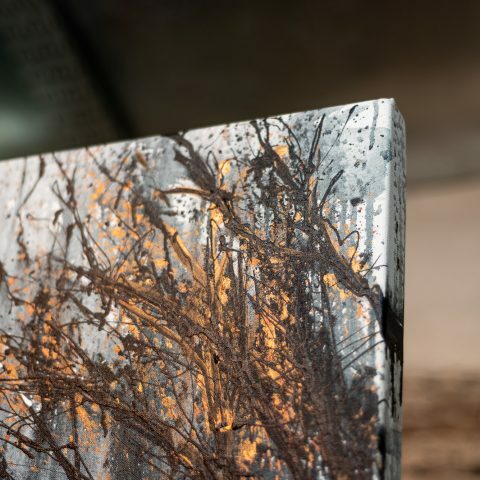 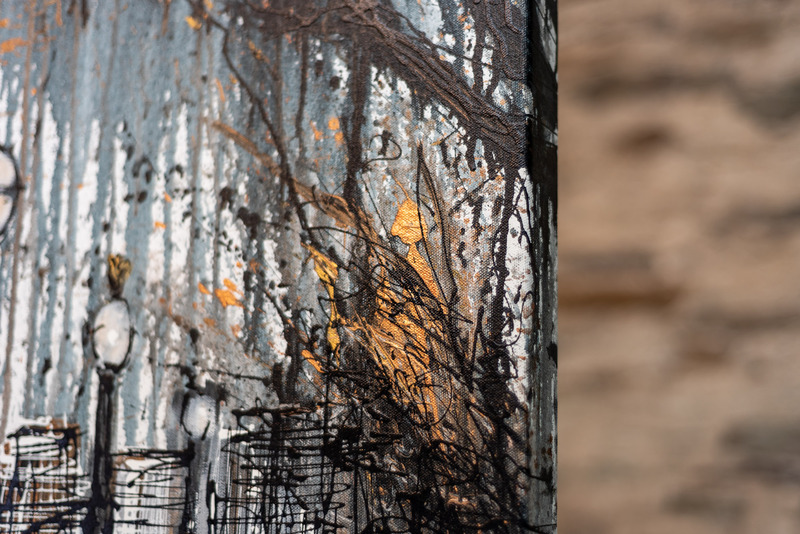 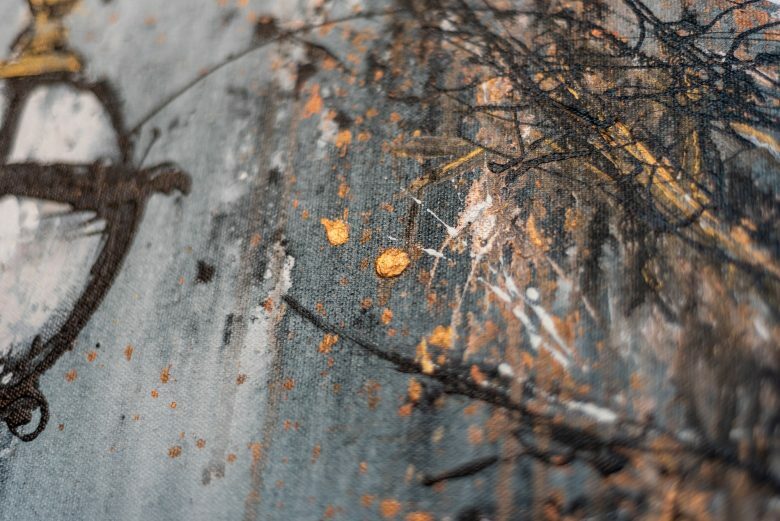 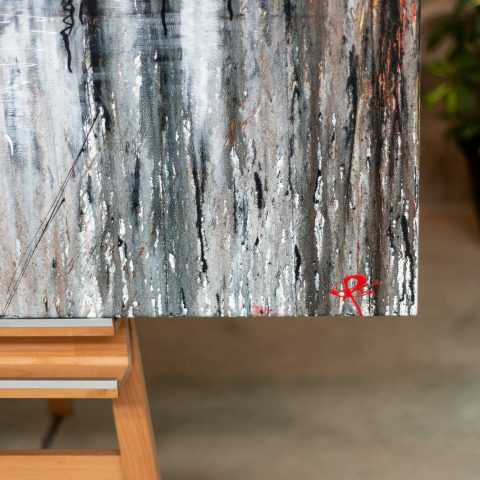 Paint runs fluidly into one another and drips freely down the canvas, like rain from the sky. 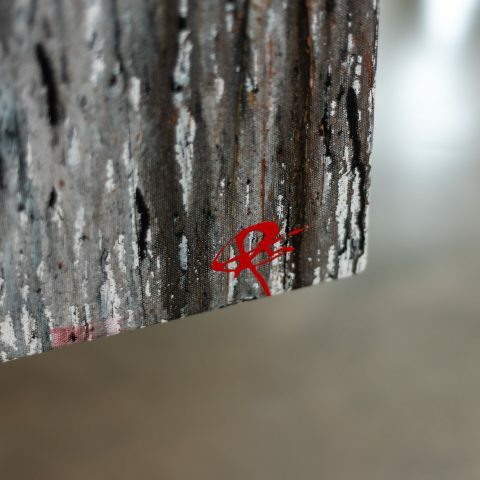 Final details are loosly added with Paul’s signature dripping technique.